Visiting Factory Gear in Tokyo. We had a nice lunch with the team of Factory Gear and also with Kawase Ryoko who told us her experience with gardening. Just before the start of Spring in 2017 we have promoted our products in Japan and South Korea. 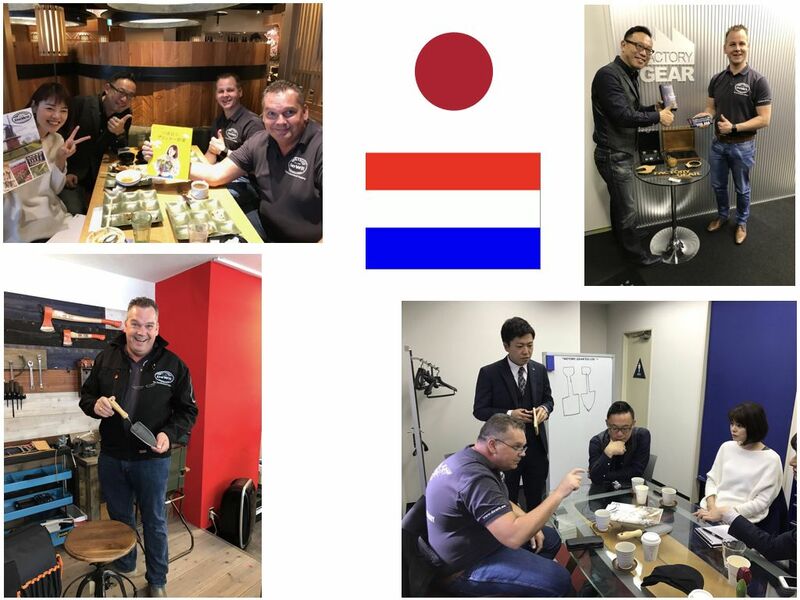 By visiting our dealers in Japan, we are building a stronger #DeWit brand in the Asian market. Factory Gear is started in 1996 by Mr. Masato Takanokura. His company Factory Gear is distributing brands like, KNIPEX, WERU, SNAP ON and many more. At this moment they run 14 own stores all over Japan and also distributing Factory Gear in Thailand and Taiwan. In 2013 Mr. Takanokure was visiting our factory in Holland.